Whitebaiting near the mouth of the Mataura River. 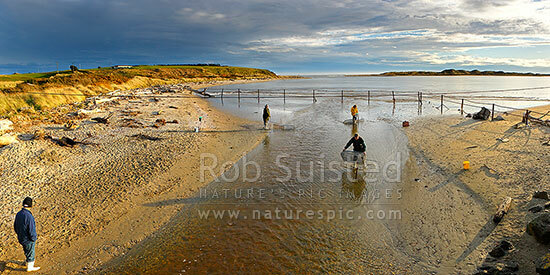 Whitebait fishermen checking nets. Panorama, Fortrose, Southland District, Southland Region, New Zealand (NZ), stock photo.